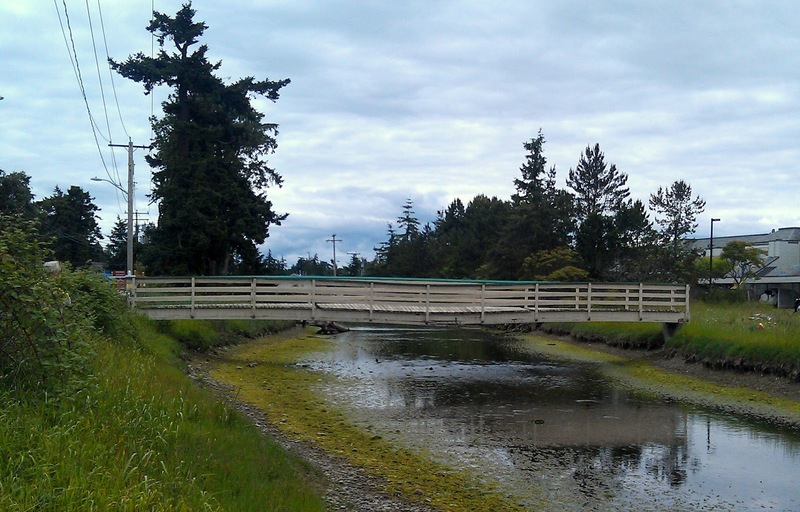 To remedy the problem: a new bridge. 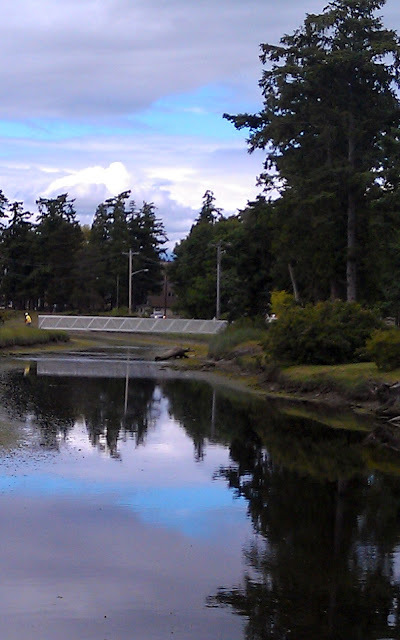 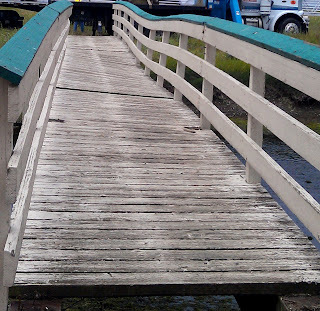 The Condo Association decided to replace the wooden bridge with a metal one. It was prefabricated and hauled to Birch Birch. 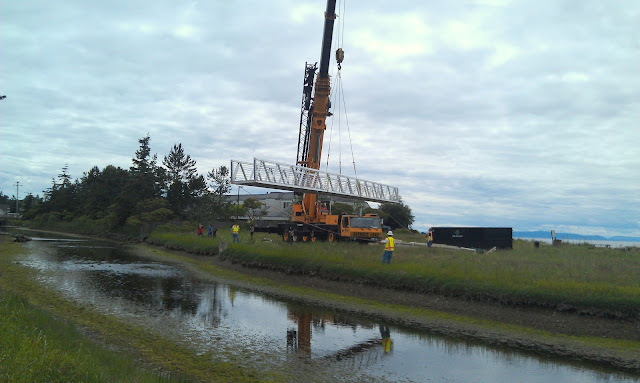 Using a big crane, the old bridge was lifted up from its spot over the Creek. 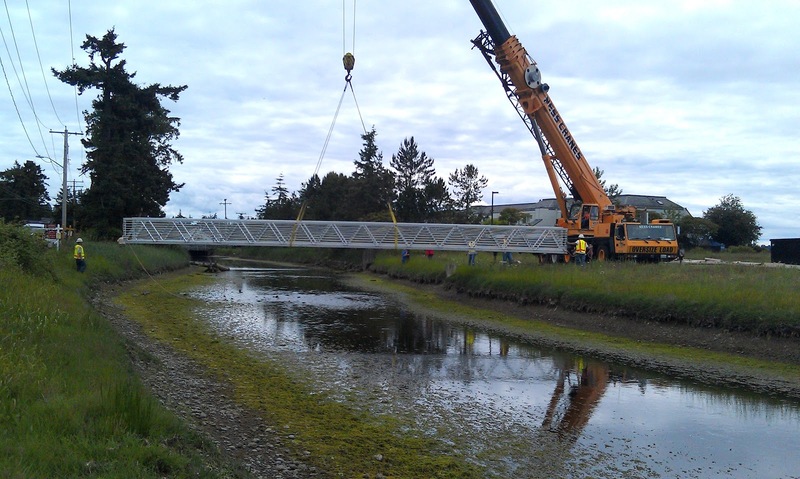 Then, the new bridge was hoisted up and put in place of the old bridge. 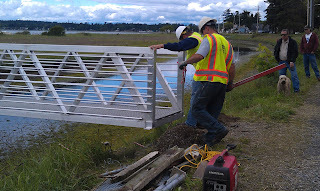 After some adjustments, the new bridge was fastened down.